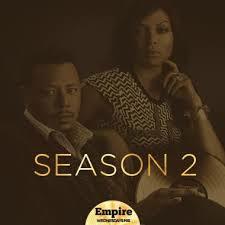 ‘Empire’ the hit FOX show returned on September 24, 2015. This show keeps viewers on the edge of their seats with anticipation, gets them to sing along to the R&B and hip hop hits in the show. Empire portrays a recently wealthy African-American family that has overcome difficulties and persevered with a passion for music. The family consists of Andre, the oldest son of Cookie and Lucious Lyon, Jamal, the middle child and Hakeem, the youngest. The family tries to grow their music company, despite obstacles along the way, such as Jamal’s father not accepting his sexuality, Andre’s battle with bipolar disorder, and Cookie returning from prison only to get the cold shoulder from her youngest son, Hakeem. Season one ended with Lucious Lyon, the owner of Empire and father to Andre, Hakeem and Jamal, played by actor Terrence Howard, giving over the company to his middle son Jamal, played by actor Jussie Smollett. Lucious discovers that he is not dying from ALS only to be arrested for murder. Season 2 depicts Lucious’s life in prison. Empire had made its way onto Rotten Tomatoes ‘Top TV Dramas’ list and is ranked at number 6 on the Rolling Stones ‘20 best TV shows of 2015 So Far’. The recognition it has is well deserved. Oakland Mills students have described the show as ‘funny and suspenseful’ with its predominantly African-American cast the show pushes boundaries and makes their audience laugh. Empire manages to grab viewers attention with their real life situations and risqué topics. The shows keeps on getting bigger and bigger with every new episode. Empire has managed to get an array of amazing actors, even having a few guest stars such as Chris Rock, Ludacris , Snoop Dogg and Becky G. Season 2 continues Wednesday, November 11 at 9/8c on Fox.